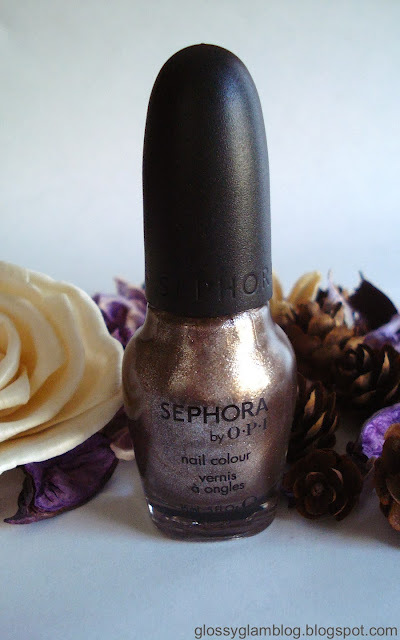 I purchased this nail polish in a Sephora haul discussed HERE. 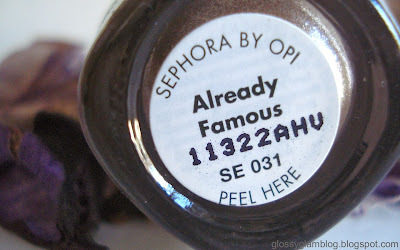 In this photo I have Already Famous applied over 3 coats Butter London La Moss (deep wine color) which I posted about HERE. I love this color! It's a very pretty shimmery champagne and will be great around holiday time! Ohhh I love this color. Perfect for the holiday season! Super pretty! It's sad they are discontinuing their line, but I hope they replace it with something better! thanks! Love your blog btw!